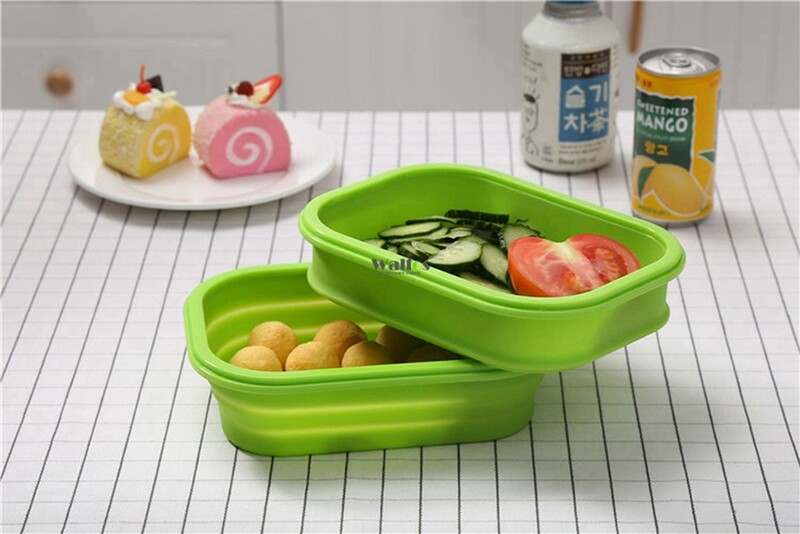 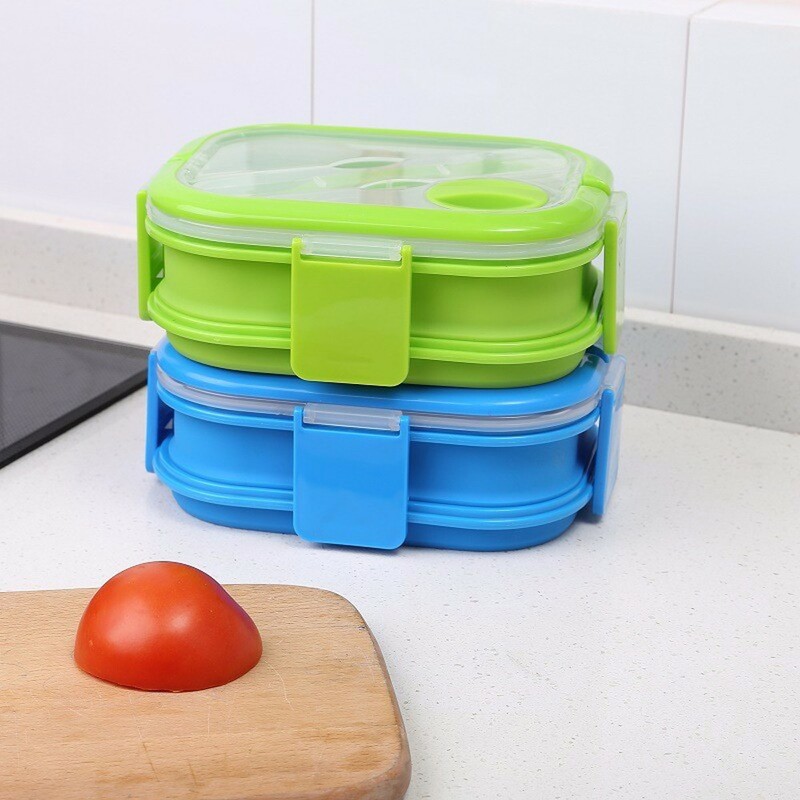 HomeKitchen2 Layer Colorful Silicone Lunch Box With Handle. 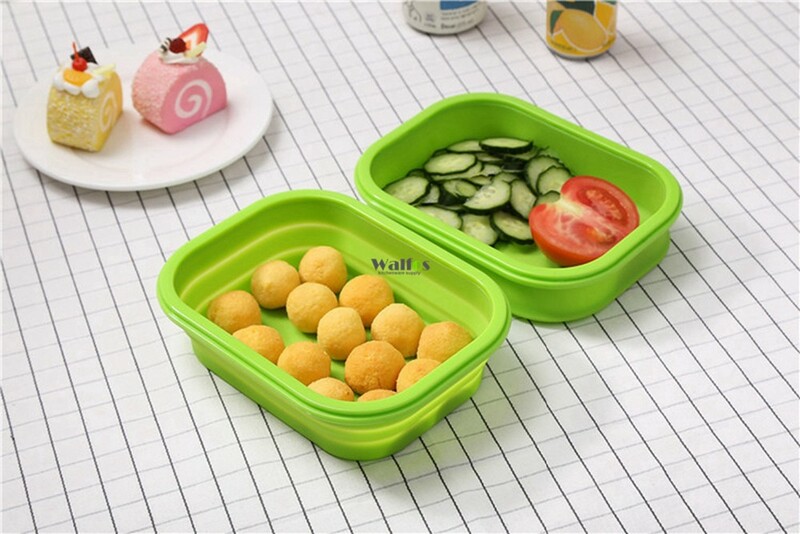 Portable Lunch Box For Kids. 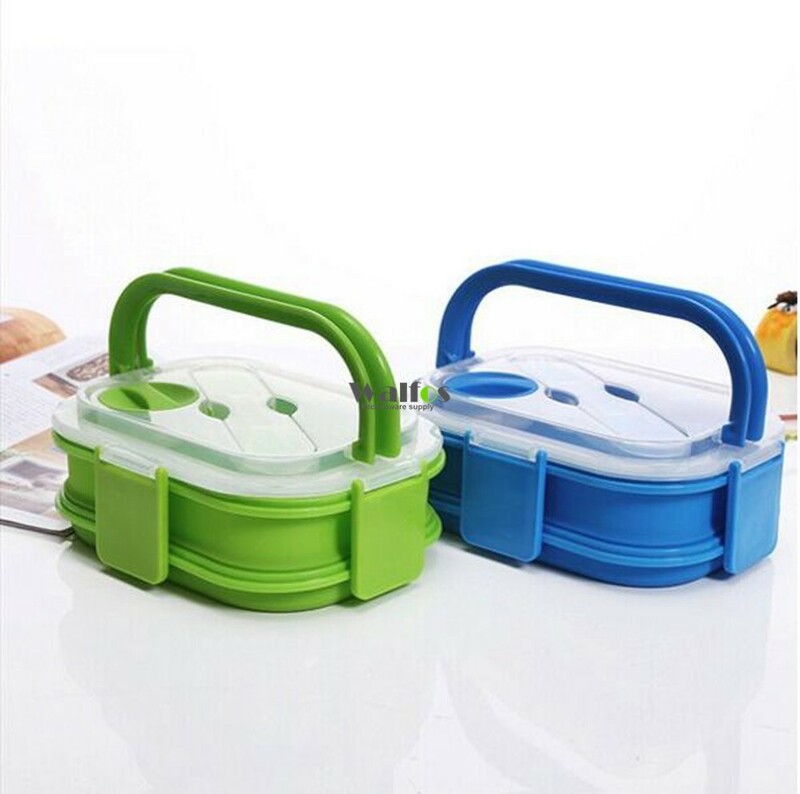 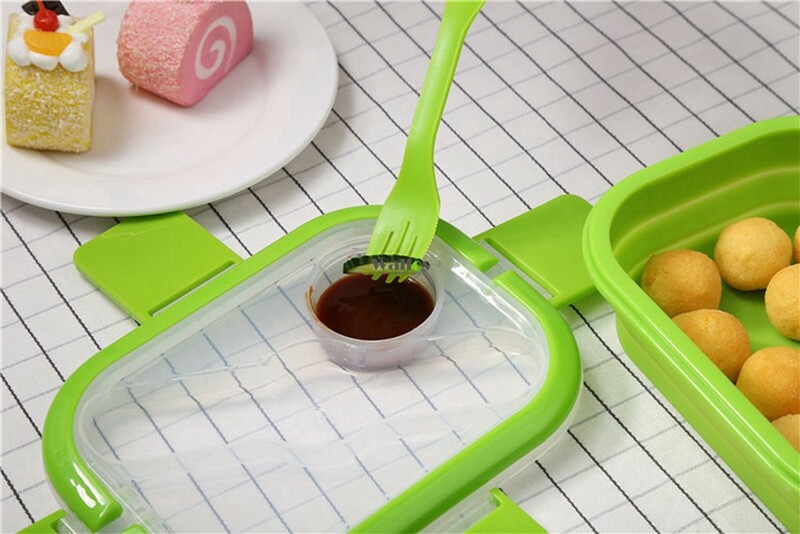 2 Layer Colorful Silicone Lunch Box With Handle. 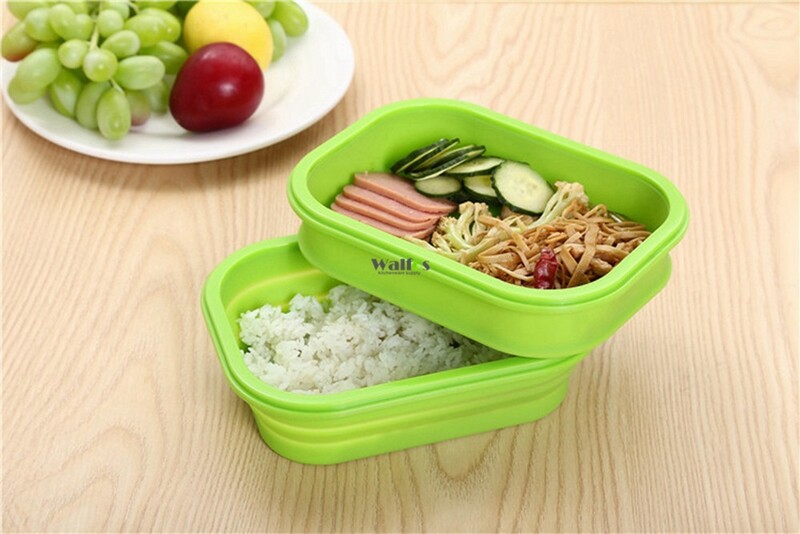 Portable Lunch Box For Kids. 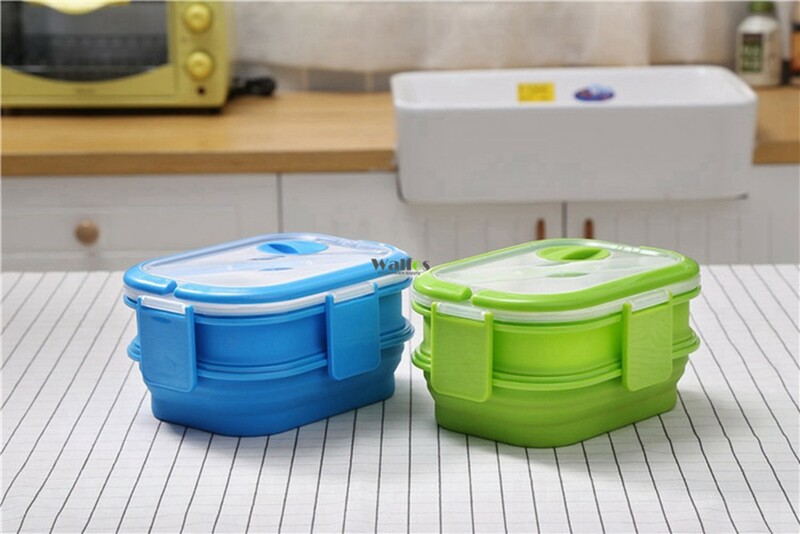 2 Layers lunch box is Microwave safe, Freezer safe, Dishwasher safe, tight seal, Easy-open lids. 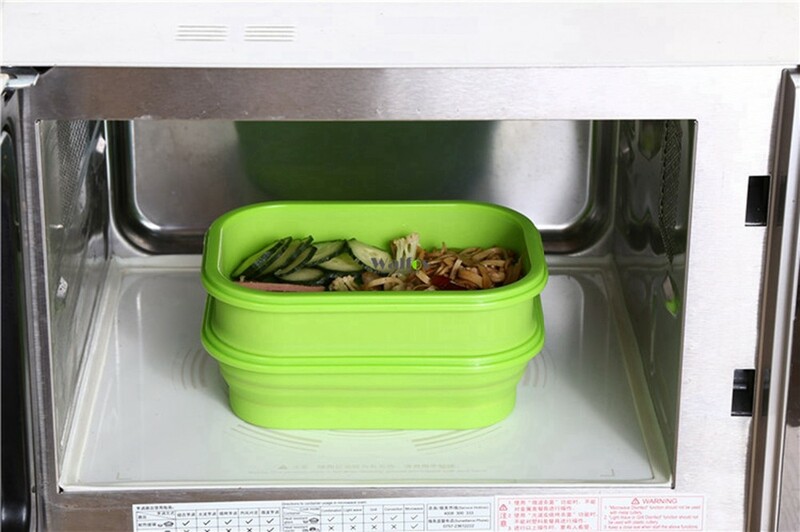 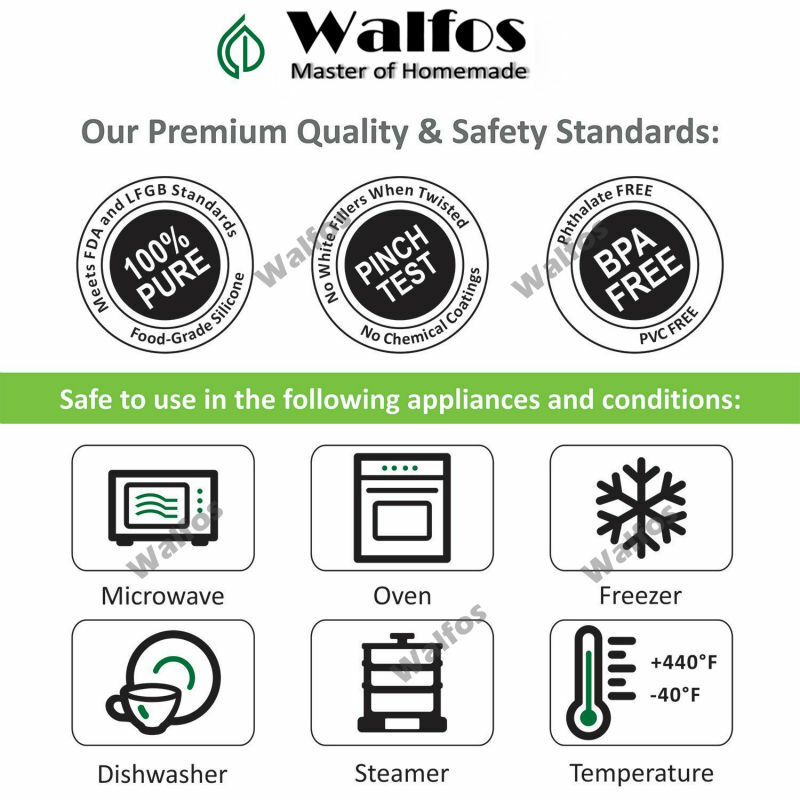 Great heat or cold resistance, suitable and safe for microwave, refrigerator and dishwasher using. 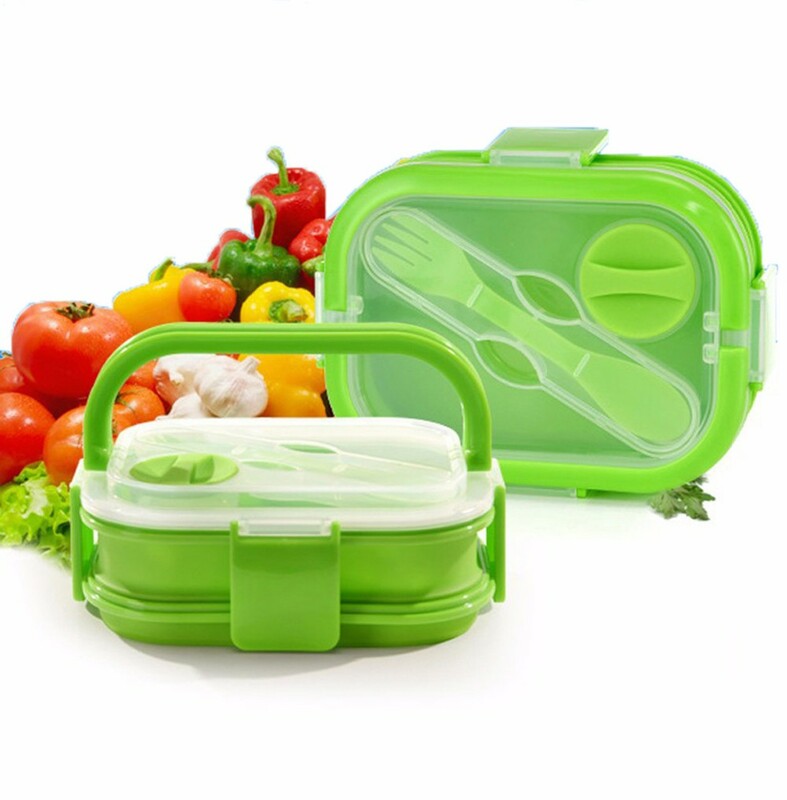 Design with Snap-lock Propylene lid + Spoon + fork. 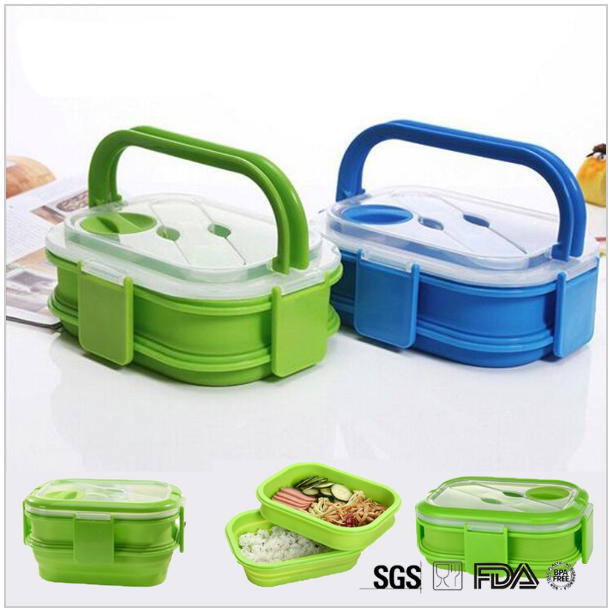 Perfect for use as a lunch box, picnic box, food storage box and more.